Can Japan and China Power the Global Economy? 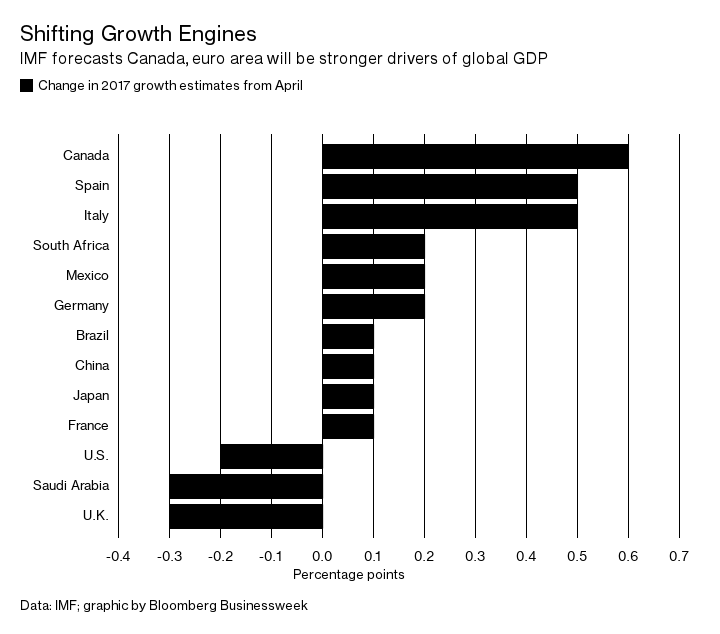 It looks like the US economy may be slowing which means the Euro Zone, Canada and Asian countries are going to have to pick up the slack. According to the International Monetary Fund,”US growth projections are lower than in April, primarily reflecting the assumption that fiscal policy will be less expansionary going forward than previously anticipated.” The IMF left its forecast for global growth unchanged at 3.5 percent in the latest quarterly update of its 2017 World Economic Outlook, but this means other economies are going to have to make up for the United States’ slippage.